The NFL Thinks The Bears Are Ready For Prime Time, The Bears Think They’re Ready, But Do You? The Bears have one of their biggest regular season games in six years this weekend against the Vikings on Sunday night. However, the NFL is already looking past that game and is now flexing the Bears vs. Rams game on Sunday, Dec 9th, to Sunday Night Football. While scheduling changes don’t make many headlines, the flexed Rams game is incredibly noteworthy and should be a major storyline in Chicago. This change means the Bears are relevant. That is spelled R-E-L-E-V-A-N-T, for those of you who have not used that word in coordination with Bears football for almost a decade. The 6-3 Bears are back on the national radar, and that is a very big deal. While fans have no idea where this team will end up at the end of 2018, the NFL is telling Chicago that they’re taking notice of what is happening on the Lakefront and they are excited. Bears nation should be too. According to 670 The Score, this is just the fourth time in franchise history that the Bears will be on Sunday Night Football three different times in a single season, having been showcased before in 2006 (coming off a Super Bowl berth), 2008 and 2009. For a fanbase that has been tired, frustrated and flat-out angry, take this simple flexed game as the sign you’ve been looking for that good things are ahead. As our very own Erik Lambert pointed out in his latest article, the Bears and Mitch Trubisky continue to be on pace to shatter every offensive record in the franchise’s history. While that isn’t a difficult feat, it is an important one. It shows the fans that the Bears finally understand 21st-century football, and that they are moving in the right direction as the league continues to shift towards more and more offense. The Bears are also in an incredible position in which they have built a top 5 defense to go along with their developing offense. Thank you Khalil Mack. For the charter franchise that had all but been forgotten around the league, this is finally their time to shine in the spotlight. The Bears have been growing each and every week and the relationship and trust between Matt Nagy, Dave Ragone and Mitch Trubisky appear to be getting stronger and stronger. Just look at the game last week against the Lions, if that’s not progress, I don’t know what is. But does this growth mean they are ready for the big stage now that the games matter that much more? Are they ready to take down the Vikings and try to sneak a win out against the Rams in prime time? The Bears have proven themselves thus far as a serious player in the NFC, but can they put it all together against their toughest competition yet? The NFL thinks they are ready, the Bears think they are ready, and you as a Bears fan should think they’re ready too. For the first time in a long time, there is genuine excitement around the Bears. The team is feeding off that excitement and turning it into confidence on the field. Over the last eight years, I do not remember a time where Soldier Field was as loud and as invested in every nerve-racking play of the game, as it has been this season. The Bears are back, and the NFL’s flexed schedule should be a wake-up call to all of those Bear fans who are wary to truly come to terms with the fact that their team is actaully getting good again. The Bears are in 1st place of the NFC North for the first time since 2014. The last time the Bears went to the playoffs I was in high school. This has been a tough and brutal road, but we are finally here. 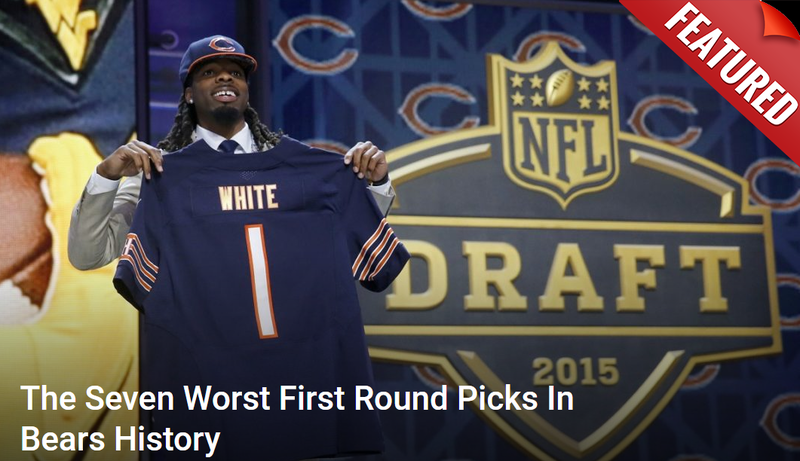 I know this article may come across as a gushing adoration of the Bears after just 11 weeks, but that’s not the point. I’m not saying this team is going to win the Super Bowl this year. But what I am saying is just like the Cubs, the Bears have finally built a blueprint for success, and it actually looks like it’s working. While the John Fox era is something all Bears fans want to forget, fans need to look at it as if it were the Vic Fangio era. The Bears have been building a top-tier defense over the last few seasons and now are in phase two of their blueprint, revamping the offense with new coaches, systems and personnel that will hopefully be here for the long haul. 1st in the NFL with +13 TO margin. 1st in the NFL with 16 interceptions. 1st in the NFL with 89 points off takeaways. 1st in the NFL in fewest plays allowed of 10+ yards. And even though the defense is much further ahead than the offense at this point in time, the strides made by this offense just last week should give all of Bears confidence that this process is in fact working. While the NFL does many things backward, they do know how to scout good matchups across the league. If the Bears can take down the Vikings this weekend, the Rams vs Bears game will be an electric atmosphere and the first true test of just how far the Bears have come. The NFL is ready for the Bears to be good again, the team itself is ready to be good again and it’s up to the fans to be ready for the challenge and accept the idea that it is ok to root for a winner.